Since I work in education, back to school season still means a fresh start and a new year. 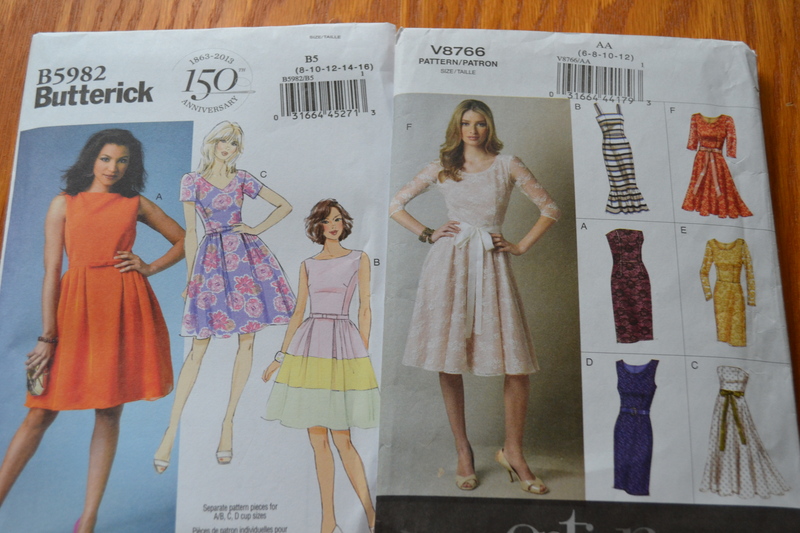 My kids are grown, so instead of searching for new markers, crayons, notebooks and backpacks, I’m trying to match up fabrics and patterns and plan fun fall sewing. This is even better than a big box of colorful new markers. Is fall just about everyone’s favorite fashion season? 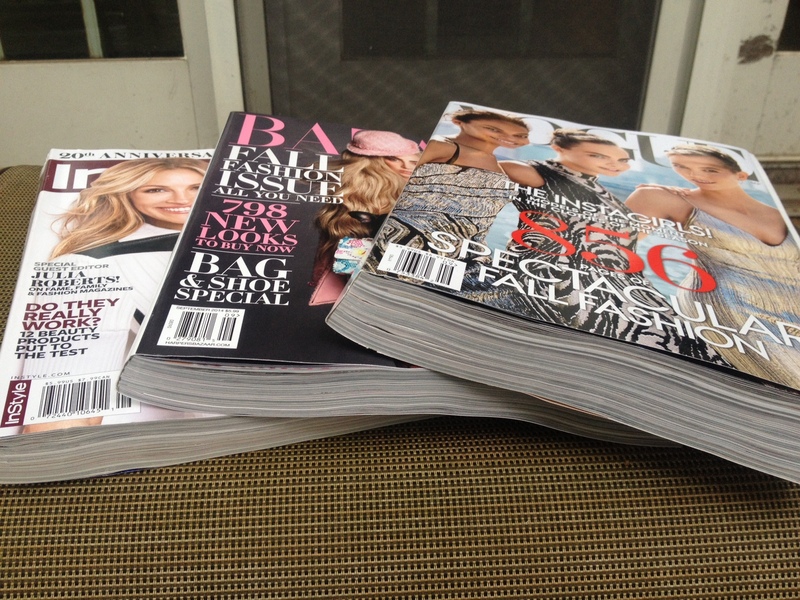 It must be the publishers of fashion magazines very favorite season. With almost 8 months completed on the Ready to Wear Fast, shopping for this fall is focused on fabric (and maybe some shoes). Although some stash busting might be a good idea, a few purchases are always a source of inspiration. 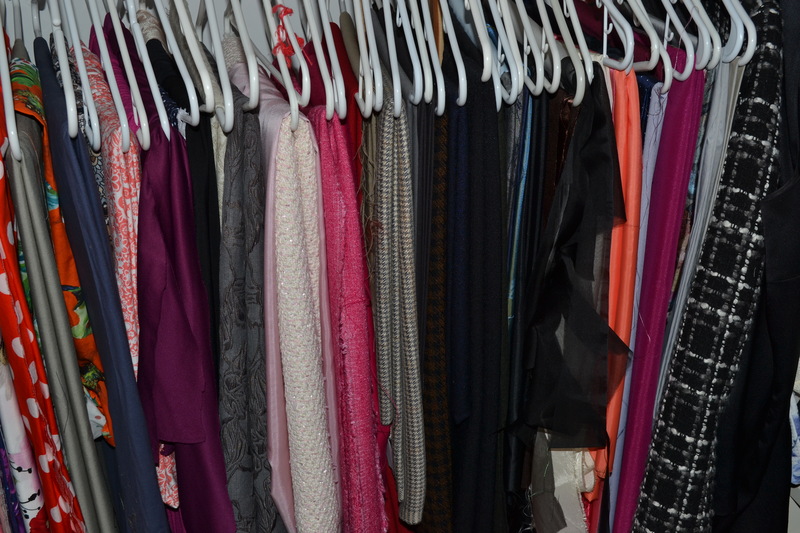 My stash is sorted by fabric type, with most pieces on hangers. Some of the bulkier wool pieces are folded on a bookshelf. I have a weakness for wool. Sigh. 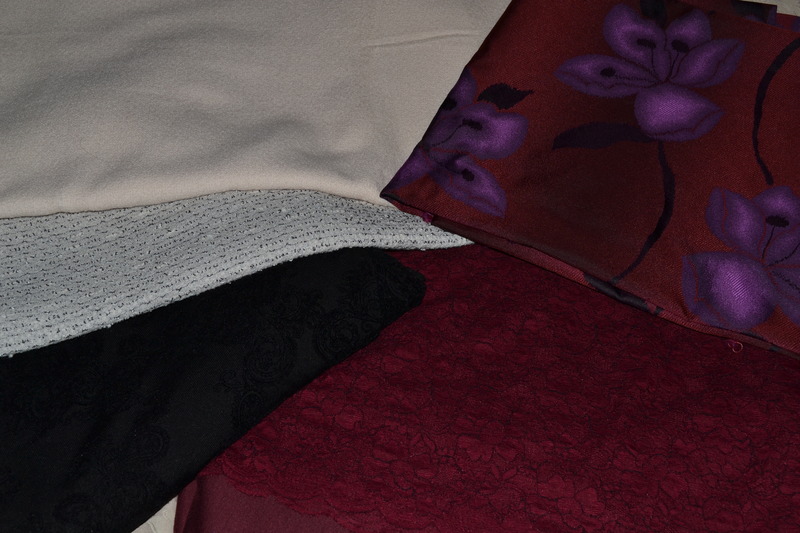 Recent purchases have me excited to put away the summer brights and start working on the deep tones of fall. I’m really liking burgundy this fall. The floral print, grey boucle and the ivory wool are all from Textile Fabrics in Nashville. It’s so nice of my son to move to a city with a good fabric store. It almost makes up for having him so far away, not quite, but almost. 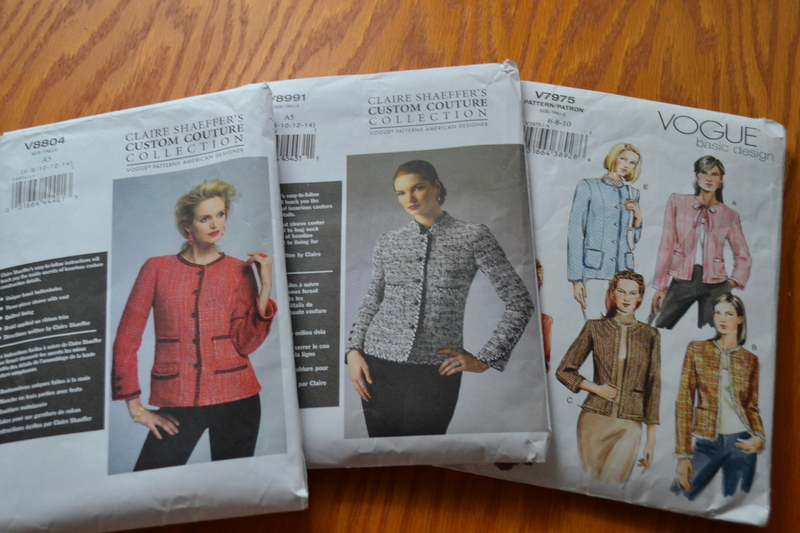 I’m thinking cardigan jackets, either TNT Vogue 7975 or one of the Claire Shaeffer patterns. Anyone try 8991 yet? 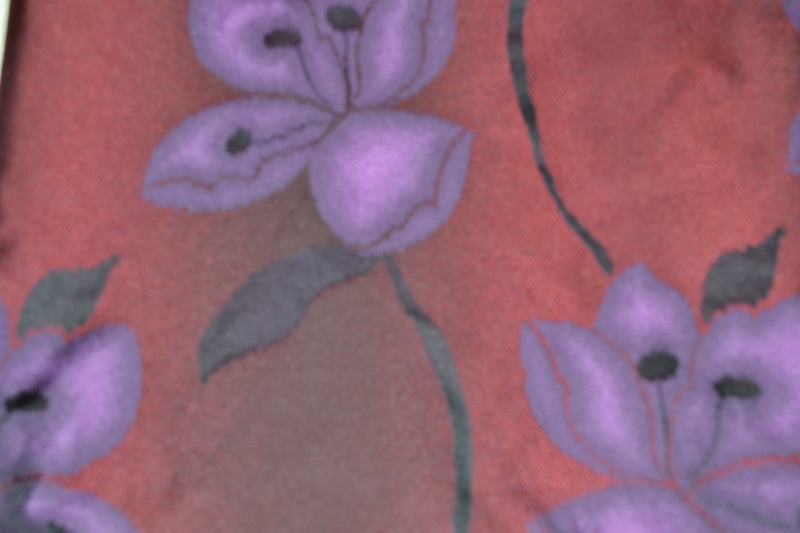 The burgundy floral print is a poly blend. 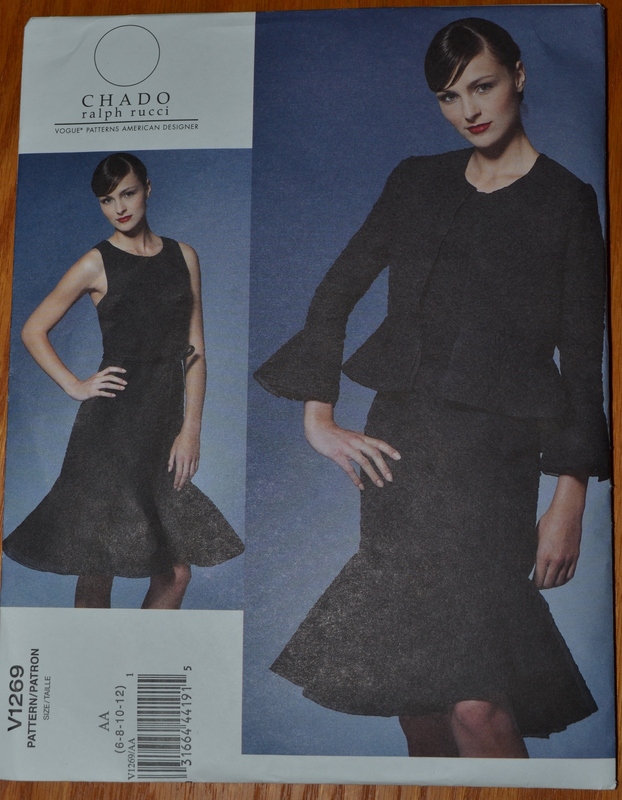 I bought it thinking sheath, but indecision has crept in and maybe it will end up as a fit and flair dress. 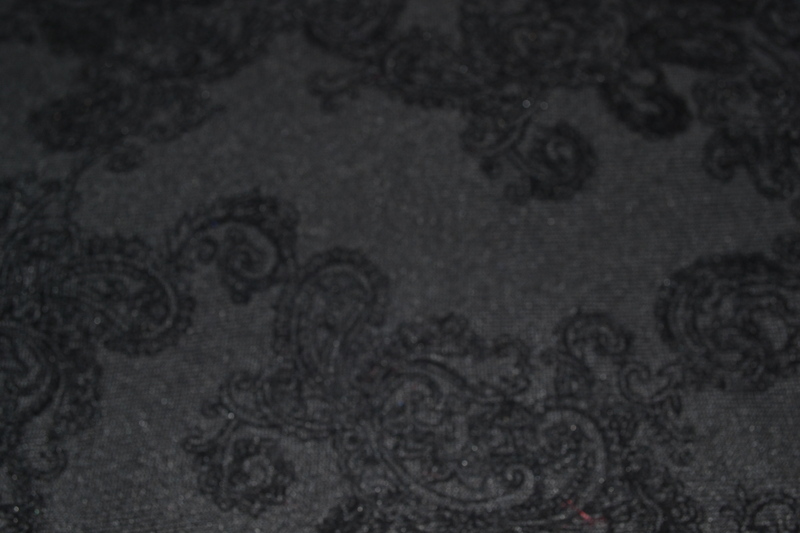 The black knit with an embossed pattern is from the wonderful bolt end rack at Haberman Fabrics. It’s a heavy weight, maybe enough for a fall coat. 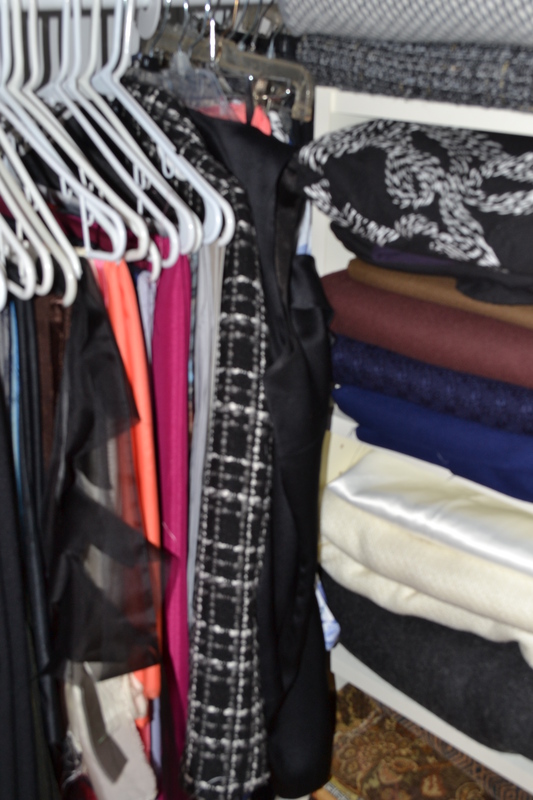 There seems to be an abundance of coat patterns in my stash, these are a few favorites. 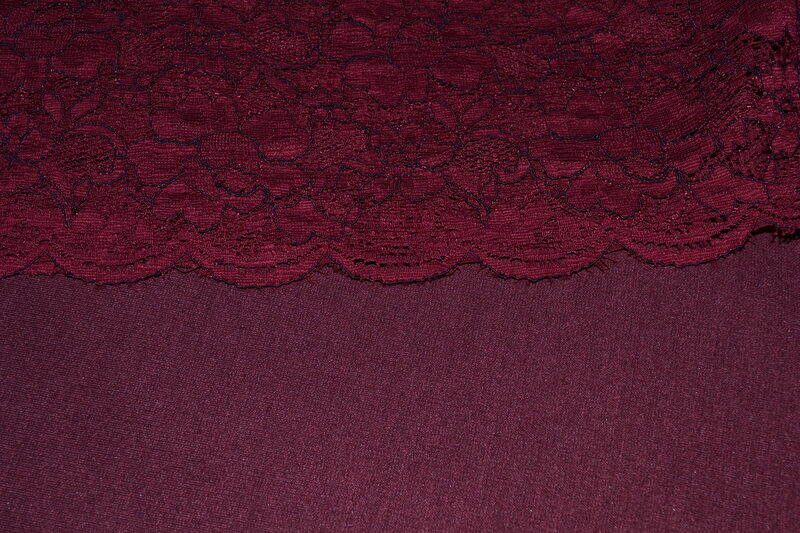 Also from Haberman Fabrics is the burgundy knit and the lace for a Pinterest inspired dress. It’s a skirt and top here, but I’ll do it as a dress with a 3/4 sleeve. Maybe this will be a good starting point. 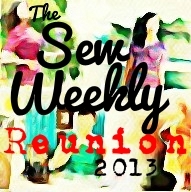 Planning for summer sewing helped me set some goals and stick to them. I’m hoping to do it with fall and winter too. I signed up for the Inside Vogue Patterns Coatmaking Techniques course, hoping to get past some sewing insecurities and start using more of the wool and coat pattern stashes. Maybe some sew-a-longs or challenges will help. If anyone hears of any opportunities, please let me know. Enjoy the rest of the summer and here’s to fall. 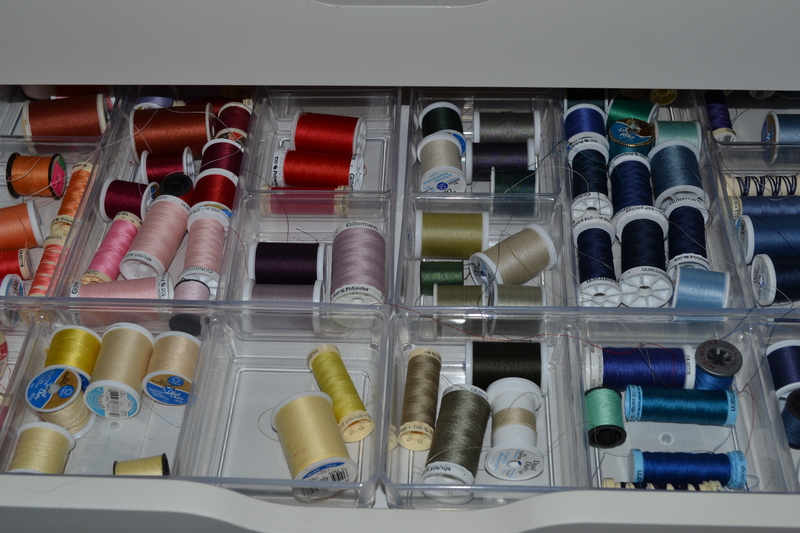 Oh lovely dress you have planned, and I love the organised stash!! !